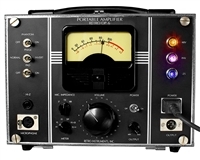 Home > Search for "retro"
The Retro Doublewide is a tube compressor module designed from the ground up for the 500 series. The Retro Powerstrip recording channel is a high powered "channel strip" or "vintage studio in a box", capturing the tone of a tube mixing desk, Pultec-style tube EQ and British tube compressor all in one compact 2u rack unit. The Retro 176 is based on a Bill Putnam classic, the UA 176. The Retro 176 faithfully reproduces the sound of the 1960s original with new features for the modern recording studio. The Retro OP-6, setting yet another standard to compare your BEST vintage pieces! True Passive Equalization creates Bountiful and Musical Equalization curves.